They say, life is short, so smile while you still have teeth. And I’d say to this one – when you start losing them, get some quality teeth implants and smile even more. True, missing teeth can significantly lower a person’s self-esteem and overall quality of life. An incomplete smile can reduce your chances of getting the job of your dreams or the woman/man you like. Luckily, today there are modern alternatives which can solve this problem in a few simple steps. The most popular one? Teeth implants. When it comes to safely installing teeth implants Melbourne dental clinics are the best in the country. Before undergoing this procedure, your dentist will make a detailed examinations to determine whether you are a suitable candidate. In order for the implant procedure to work, there must be enough bone in the jaw. If that is not the case, bone augmentation or bone grafting can be performed. After all the necessary preparations are finished, here’s what follows. The first procedure involves drilling a hole and placing the implant in the jaw. 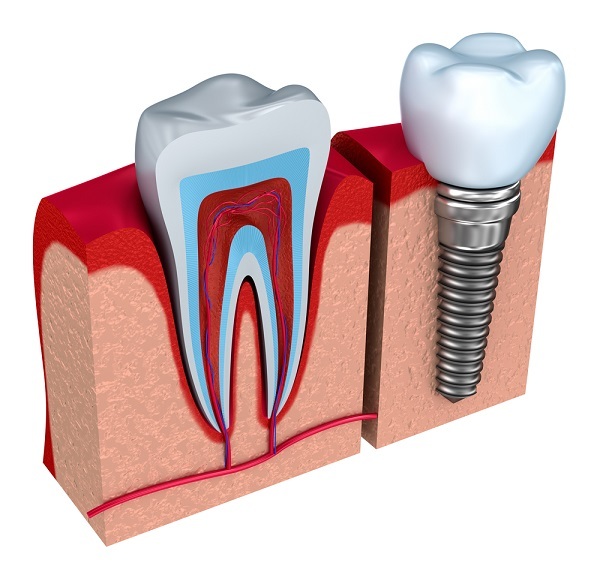 The implant, which is made of titanium or other materials suited to the human body, will serve as an alternative to the tooth’s root. The hole is then stitched and closed where the implant remains covered for as long as it’s needed for it so successfully fuse with the bone. The dentist will perform an X-ray to confirm whether the implant is ready for the next surgery. Don’t worry, this one is much shorter and simpler than the first. A new incision will be performed to expose the top of the implant where a collar, or also called a healing cap, will be placed. This will ensure that the surrounding gums heal correctly. The collar will remain in place for around two weeks, after which the dentist will remove the healing cap and screw an abutment into the implant. The abutment is made from titanium, porcelain or even gold and it is the part that connects the crown to the implant. It’s shaped like a tooth prepared to receive a crown. After that, you will receive a temporary crown until your permanent one is being made. The last visit to your dentist for this purpose will be to cement or screw the ready made crown to the abutment. Cemented crowns might look better and more natural because the screw hole is hard to notice. However, screwed in crowns are easier to remove if you experience any trouble in the future and the dentist needs to reach the implant to fix it. After everything is done and you have your implants successfully placed, make sure that the condition of you new loveys is regularly checked by the teeth implants Melbourne clinic where you got them.